Our dear mums deserve the best everyday but why not make an effort especially on Mother's Day? Look for cheap and incredible deals online for gift ideas and surprise that special woman in our lives. If you're looking for the best gift ideas on fragrance & perfumes, scented candles, jewelries, flowers and chocolates and wine. Special offers and discount codes await you from Boots, ASDA, H Samuel, Cath Kidston and Mark & Spencer. There are countless ways to make our mums happy and loved without having to go beyond your budget. FREE KITKAT RUBY at Odeon for Mother's Day! Mothers Day Gift That Lasts a Lifetime. Mother's Day is a celebration during the second Sunday of May and it is a day where we can show our mothers that they are important and greatly appreciated. It is a time when people show their respect and love towards their mothers. There are many ways to show your love to the person who brought you to this world. You can buy her gifts, or treat her to dinner, or make her breakfast in bed. The main goal is to pamper her and make her feel important. Show your appreciation for everything that she does for you. Celebrate mother’s day and make your mother feel like a queen. Here at Latest Deals, you get to choose from tons of cheap Mothers Day gifts deals, sale, price drops, special offers, discount codes and voucher codes from various online retailers. Grab the opportunity to save money on amazing discounts both online and in-store. Purchase thoughtful mother's day gifts at your favourite UK retailers such as Amazon, Eventcube, and eBay. Our savvy community of bargain hunters is always on the lookout for the best possible deals. 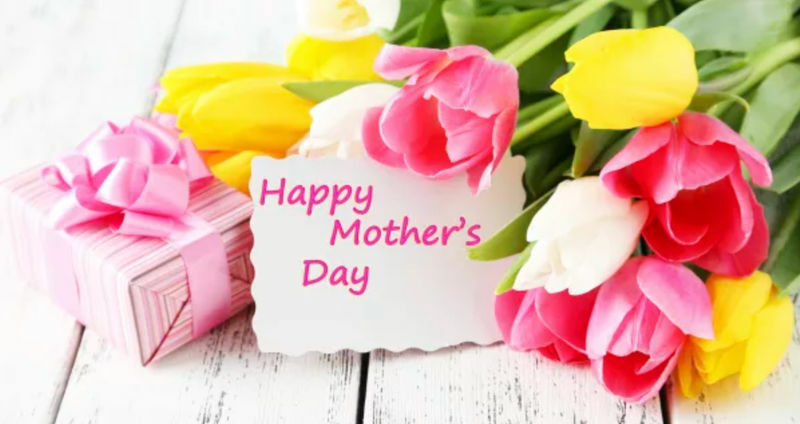 Here you will find a wide selection of top 10 mother's day gifts such as bathing gift sets, hampers, earrings, flowers, mugs, and greeting cards, among many others. One way of showing your appreciation to your mother is to give her gifts. There are many gifts that you can give on Mother’s day and among the most popular gifts are scented candles, photo frames, breakfast baskets, gardening kits, red roses, spa gifts, and more. Serve her a special breakfast basket that is filled with delicious muffins and bread together with her favourite spread. It is a surefire way to make her feel good at the start of the day. If your mother is an avid gardener, give her a gardening tote which comes complete with gardening gloves, knee pads and a variety of flower seeds for planting. If your mom is fond of reading books, give her a good book to read together with some scented candles so that she will feel relaxed while reading. Pamper your mom by giving her a spa gift which will help her rejuvenate and relax. A spa gift set includes lotions, bath salts, gels, aromatherapy, potpourri, bath pillows, and slippers. You can also give her picture frames where she can place photos of your family so that she will be reminded of the people who love her. Another gift that you can give her is a coffee break basket. If your mom is a coffee lover, she will definitely appreciate this particular gift. This gift set includes scrumptious treats, gourmet coffee, and chocolates. Regardless of any gift that you give to your mother, the main goal is to show her your appreciation. Give it a more personal touch by including a message of gratitude. Include a greeting card so that you can express in writing what you want to say to her. All mothers’ deserve to be happy on this special day.